Approach a Trusted Traveller Self-Serve Kiosk and have your Nexus card ready. First select your language of choice before you enter your Nexus Card into machine. Wait until prompted, then insert your card into the document reader. The card must be face up with your picture showing and fully inserted. Do not remove the card until you are instructed to do so. When you hear the audio instructions, look into the mirror. Look into the mirror and move just slightly forwards or backwards until the circle between your eyes goes from orange to green. Follow the instructions that appear on the screen and answer the questions using the monitor. You must declare all goods purchased abroad, including those within your personal exemption by answering questions at the kiosk. You may be directed to pay duty at a CBSA cashier or you may be directed to an inspection area. Locate the self-serve kiosk in the US Customs Pre-Clearance area. Stand in front of the camera where you will have your irises photographed. You must then follow the prompts that appear on the screen and complete the entry process. You will then receive a self-serve kiosk receipt that you must give to the CBP officer. Do not lose this receipt. Normally you can then proceed to the transborder lounge, but you may be asked to go to an inspection area by the CBP officer. Use the self-serve kiosk to declare any goods for personal use that you are bringing into the US. If the kiosk is closed, head to the crew counter or use the standard procedure and declare your goods to a U.S. CBP officer. Ensure that all passengers in your vehicle have a Nexus Card. If not, you must use a regular lane. Locate and use the designated Nexus lane. Hold your membership card up in front of the proximity card reader. Next, go to the inspection booth for a visual inspection. 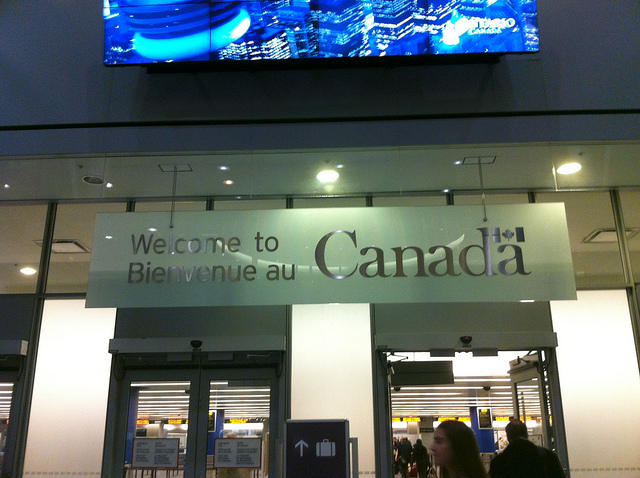 The border officer will then indicate to you whether you should enter the inspection area, or proceed into Canada. If you are a Canadian resident and declaring goods for personal use that you are bringing into the country, complete your Traveller Declaration Card (TDC) and deposit it in the designated box in the Nexus lane. If you are a U.S. resident, you may make an oral declaration regarding goods for personal use that you are bringing into the country. Ensure that all the passengers in your vehicle have a Nexus Card. If not, use the regular lanes. Come to a stop next to the card reader and hold up your Nexus Card in front of the card reader. Next, proceed to the inspection booth for a visual inspection. You will be directed by a CBP officer whether to enter the inspection area, or to proceed into the USA. 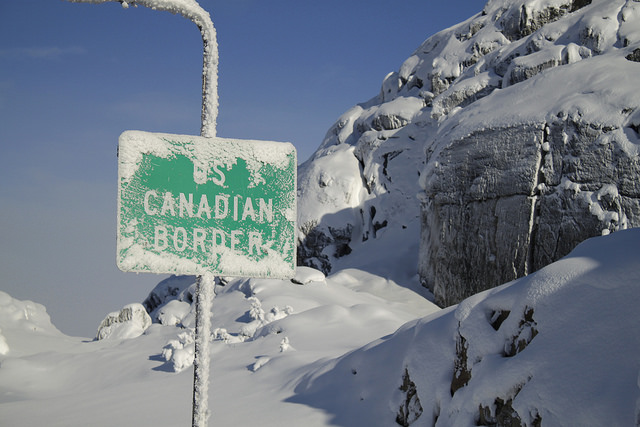 Canadian and U.S. residents bringing goods for personal use into the US that are within their personal exemption or entitlement can make an oral declaration to the U.S. CBP officer. If you have goods for personal use exceeding your limits, then you must use a regular lane to report them to a CBP officer. At the Whirlpool Rapids Bridge between Niagara Falls, Ontario and Niagara Falls New York, you must have a prepaid Nexus/Toll card to cross. Cash or tokens will not be accepted. 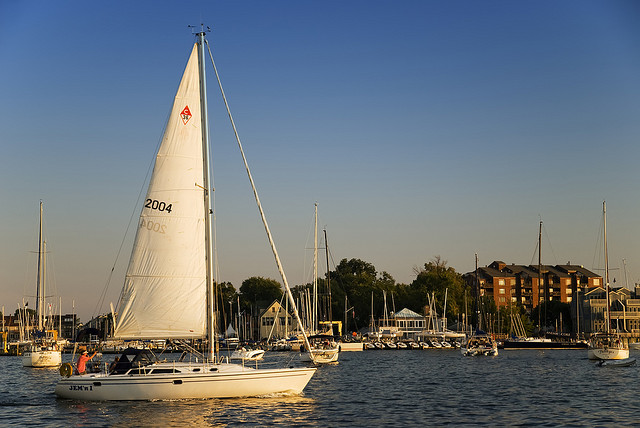 The boat master (the person in charge of the boat) must first ensure that all passengers on board have a Nexus Card. ETA or estimated time of arrival and name and location of the landing site, which must be a designated site. The registered number and / or name of the boat. Full name, date of birth, citizenship and / or permanent residence of all Nexus members on board. Destination, purpose of trip, and length of stay in Canada for each passenger on board. Passport and visa details of each passenger, if required. Ensure that all passengers have photo ID and proof of citizenship, and other immigration documents if necessary. Declare all goods being brought in, including currency, by phoning the Telephone Reporting Centre. If goods exceed personal exemptions, a border official at the TRC will inform the boat master of what procedures to follow. The boat master is also responsible for the removal of any inadmissible passengers and all associated fees and medical costs. If you there are any non-Nexus members on board, the boat must land at a marine telephone reporting site, and then call the Telephone Reporting Centre at 1-888-226-7277. Only the boat master may leave the boat until all aboard have been cleared by customs. Provide advance notice of at least 30 minutes or up to 4 hours of ETA. Provide the name and location of landing site of arrival. The name and / or registration number of the boat. The full name, date of birth, citizenship and permanent residence of all Nexus members on board. Destination, purpose of trip, and length of stay of in the U.S. each passenger on board. Passport and visa details of each passenger when applicable. Ensure that all passengers have photo ID and proof of citizenship, permanent residence status and any other immigration documents applicable. Declare all goods being imported, including currency, using marine reporting procedures and orally declaring to a border officer at the local CBP office. If the boat has non-Nexus members aboard, the boat must land at a physical report site and the boat master must call the U.S. CBP reporting telephone number.